West Campus Development Trust, Group Germain Hotels, and Calgary-based Homes by Avi, are celebrating the latest addition to Calgary’s Northwest University District (U/D) development plans, announcing the construction of an Alt Hotel, a brand recognized for its contemporary design, eco-responsible features and affordable luxury. 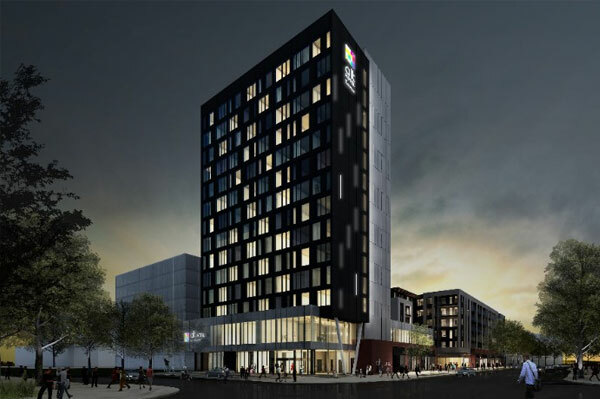 Anticipated to open in the fall of 2020, the new Alt Hotel will be 15 storeys, 156 rooms and include a retail and residential component as well as an underground parkade. The hotel will incorporate the brands signature colourful and creative design, featuring a welcoming lobby, café and restaurant. The building, by LEMAYMICHAUD Architecture Design, will provide a dynamic and seamless street-level experience as the hotel and residences are situated above a retail podium with a diverse selection of shops and services. For more, go to www.groupegermain.com or visit www.althotels.com .